Ever since 2010, the Editorial Board of Kongres Magazine has been presenting fresh and interesting meeting destinations to international meeting planners. Till this day we have presented 84 Meetologues from 23 destinations. Each destination is evaluated based on 75 different criteria that enable fair comparison of the destinations. Meeting organizers appreciate the expertise, value and practicality of this guide through congress destinations. The results of 2018 evaluation are presented in detail below. In the last couple of years, the tourist offer of Nassfeld has seen some big investments. More than 26 million euros have been put into the Nassfeld ski resort (together with Pressegger See) in the last two years. The four valleys on the austro-italian border offer 110 kilometers of ski slopes, with 30 modern ski lifts ensuring smooth connections between them. Nassfeld is also famous for its high number of sunshine hours, as the protective effect of the Hohe Tauern mountain range blesses the town with the most sun in the region. This means that there are plenty of options for incentive and team building programmes in nature throughout the year. 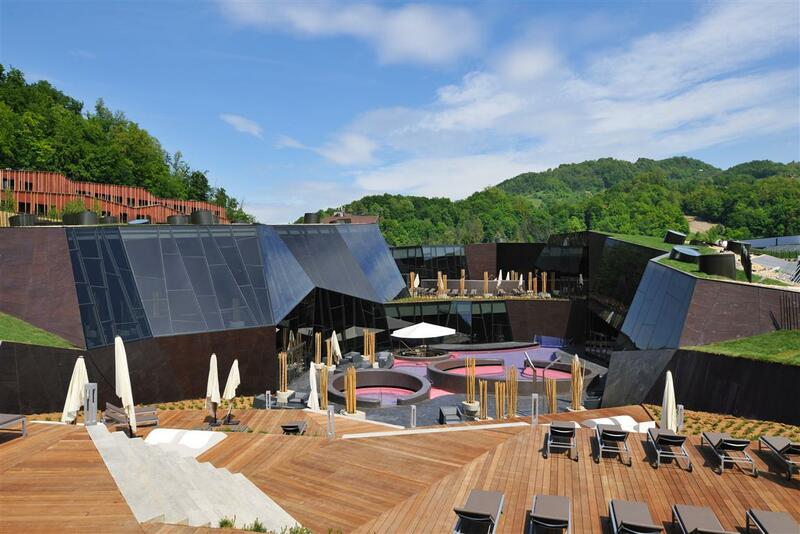 Natural conditions and a high quality of hotel accomodation positions Nassfeld among the most attractive incentive destinations in Central Europe. Bad Kleinkirchheim is known across the world for its skiing heritage, as the town is a long-time host of women world-cup ski races. Some might even recognize it for its thermal resort built in the 17th century. Less known is the fact that Bad Kleinkirchheim is an excellent incentive destination sprouting with diverse and exciting offer, which spreads across both the winter and summer season. There’s also no shortage of great accommodations. The incentive programmes range from active sports activities to historical and culinary experiences. A native of the region is also the legendary Franz Klammer with whom you can even go skiing on an exciting winter incentive. What separates the town from the regional competition is a top-notch culinary offer, developed in a different way in every hotel. All of this makes Bad Kleinkirchheim suitable for more demanding incentive groups. None of the more than 1,000 Croatian islands has such karma and recognition as Hvar. Definitely a “must” Croatian destination, right behind Dubrovnik. Distance from the mainland gives it a touch of boutique smallness. On the beauty of the island, reminiscent of the Garden of Eden, there is no point in wasting words, since there is no shortage of various urban legends and superlatives. Among other things, it used to be called Austrian Madeira. In Hvar, the urban has been coexisting with the rural for centuries. The most important winter sports centre in Slovenia has among the Slovenian ski resorts the strongest brand, which is known worldwide mainly due to the Cup Vitranc. Slowly and steadily it has also developed a summer tourist offer, which enables the development of congress tourism. Both seasons are now virtually in balance. With the latest changes in the field of hospitality it will surely strengthen its position as an important centre for the implementation of incentive programmes and small conferences. Due to the recognition of the ski jumps in Planica and Vitranc Cup it has a high priority over other rivals in the region. It is an important boutique congress destination for quality mid-size corporate events up to 350 participants. Lošinj and Cres are the only Adriatic islands that successfully deal with sustainable tourism and are amongst the more eco-friendly islands of Kvarner. They differ from the more famous Dalmatian isles, with their nature preservation, systematic sustainable development and cultural heritage. All these activities are well managed and present a huge opportunity for sustainable meetings industry in harmony with the capabilities of the islands. The key challenge is the invisibility on the meetings industry radar, lacking the recognisable incentive brands to build the high quality boutique and intimate stories. If local suppliers can develop from these points, they will be able to benefit from the current trends in the industry. I am certain their first clients will be the existing loyal guest of Cres and Lošinj.